Alexander Wang has always been down with the cool kids. His brand of off-duty-model streetwear personifies today’s generation of millennials. If you’re young, hot and in the scene, you’re either already in the #WangSquad or dying to be. And in referencing his own archive, like he’s done in his now past three collections, the designer’s Spring 2017 Ready-to-Wear Collection stays true to his youthful aesthetic. 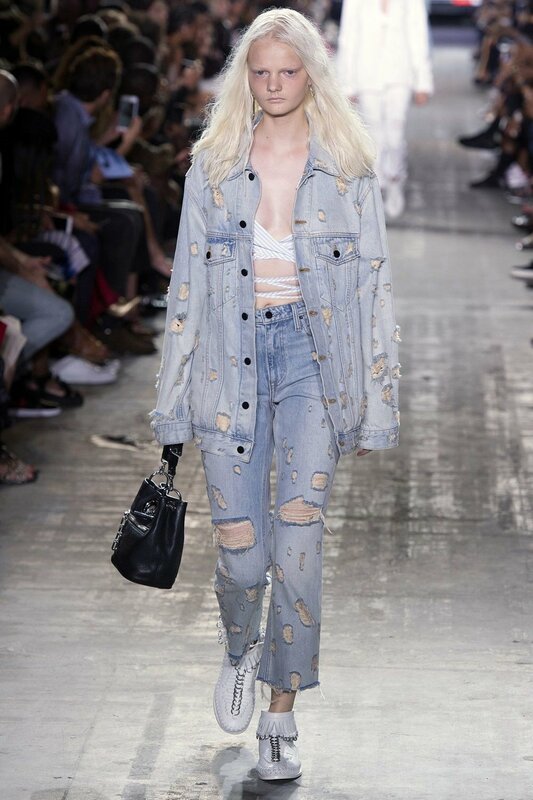 Wang tapped into his California roots this season with a grunge, surf-inspired lineup. 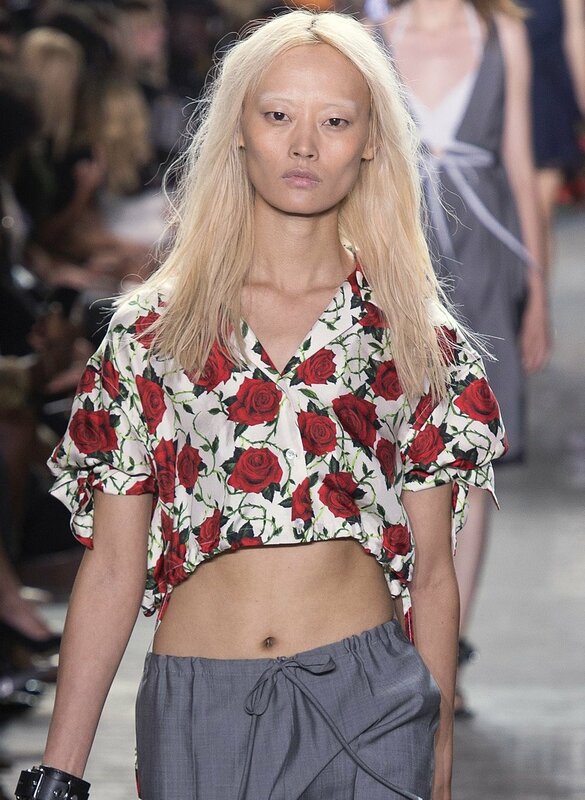 The Wang Kids walked the runway looking like laid back surfer chics and BMX boys. Soft woven, cotton baby-blue and crisp white button up shirts were made into micro-minis and triangle bikini tops. Cropped neon sweatshirts were paired with leather and plaid or silky lace trim shorts. Rash guards morphed into clingy knit dresses with pops of neon piping. Leopard and flame prints took center stage and little fringed moccasin booties were the accessory of the show. There was deconstructed denim, daytime lingerie and a series of tuxedo-inspired glitzy mesh beaded dresses. Male models also took to the runway in cotton pullovers and board short-style pants in fabrics that looked better cut out for men’s suit wear. But no doubt, the headline of the show was the unveiling of the designer’s 84-piece, all-black, gender-neutral collaboration with Adidas Originals. The #WangSquad took its final walks in looks that featured black tees, sweatshirts, hoodies, basketball shorts, and tear away pants bearing the signature white stripes, all with upside-down Adidas logos. Alexander Wang does cool like nobody else can. He continually keeps his brand consistent with his 90s silhouettes, masculine fabrics and sporty undertones. His shows are always one of the most highly anticipated of New York Fashion Week, and as expected, his Spring 2017 Ready-to-Wear Collection lived up to the hype.